The often misquoted, but well known saying of “If you build a better mousetrap, the world will beat a path to your door,” may have been true in days gone by, but as a business owner, you know that it doesn’t really work that way any longer. You know you are a great dentist. You have confidence in your skills and technical abilities.You are proud of what you and your staff do every day. When your patients arrive, you know they are getting the best care possible from you and your team. So why aren’t you overwhelmed with new patients? Maybe you are. Maybe you have more than enough and aren’t looking for more. If that’s the case, stop reading. You’re doing well. But if you’re not at that point, Denteractive can help you get more new patients in your chair. You should be doing as many promotional actions and activities as needed to keep the flow of new patients coming in. You should have enough marketing going to easily off-set the cost. 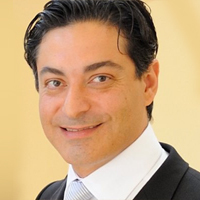 Teledentistry is quickly escalating in the field and it’s simply because of patient demand. It isn’t on the increase because it’s a novel idea. Insurers, including Medical, are adding teledentistry to their coverage. Why? Because of patient demand. 64% of patients surveyed said they would be willing to use video chat with their doctor. 17 million patients said they would change their primary care for a doctor that uses telehealth technology. 7% would switch to a doctor that offers video chat. That’s over 20 million people looking for a doctor that offers this service. 88% of patients choose a doctor based on the doctor’s online profile. 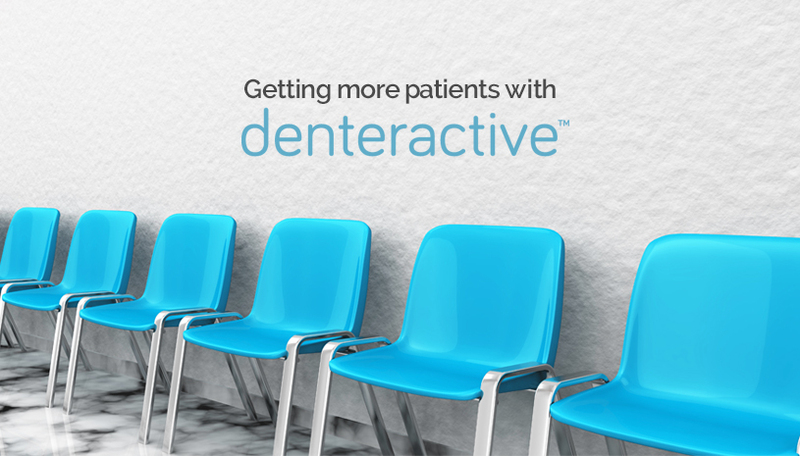 With Denteractive, you have a greater opportunity to attract patients that are afraid to go to the dentist yet have questions and concerns they want to talk about. You’ll be able to attract patients in rural areas that need your help and assistance. Both cases give you a chance to convert consultations into patients that will arrive in your office. Like most dentists, you probably have undone treatment in your charts. Use Denteractive to set-up a time to video chat with your patients and find out what’s preventing them from going forward. Use our features to safely text message them. Reach out to them and let them know you care and are waiting to be of service to them. Promotion works only as long as you do it. You need to get the word out and let people know you offer this service. Add the service to your website, Facebook page, Twitter and all your social media accounts. Link it in your emails. Patients you haven’t met yet are using Denteractive to find dentists based on zip code, procedures, and insurance accepted. Make it easy for them to find you. Send out emails to your patients letting them know about it and find out who wants to use it. Ask them for referrals. If your patients are happy with you and your practice, they will refer. “You never get the close you don’t ask for” is a very true maxim in sales. Patients don’t always know you want new patients. Ask them if they would be interested in video chatting with you. Ask them to tell their friends that you offer this service. By simply getting the word out will help you tap into the 20 million patients looking for this service.